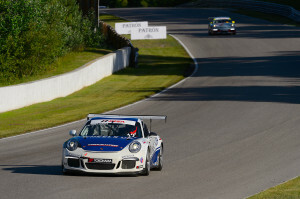 Bowmanville, Ontario – After two days of hard racing North of the border, Rounds 7 and 8 of the IMSA GT3 Cup Challenge USA Presented by Yokohama set at Canadian Tire Motorsport Park are now in the books for Competition Motorsports, with a pack of positive finishes and a double podium weekend for Calvert-Jones added to their list of accomplishments so far this season. With just one full-course caution following an entirely caution-free first round, Race 2 provided the opportunity for all three Competition Motorsports drivers to really put their Porsches to the test and battle through the busy 27-car field. With IMSA GT3 Cup Challenge USA Presented by Yokohama setting the grid for the second race of the weekend based on a driver’s second-best qualifying lap, Michael Lewis began Race 2 from fifth position in his No.98 Competition Motorsports/Curb-Agajanian Porsche 911, Calvert-Jones began from 11th place in his No. 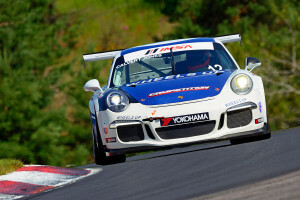 12 Wheels Up-Competition Motorsports Porsche 911 and Fred Poordad began from sixth place in his No. 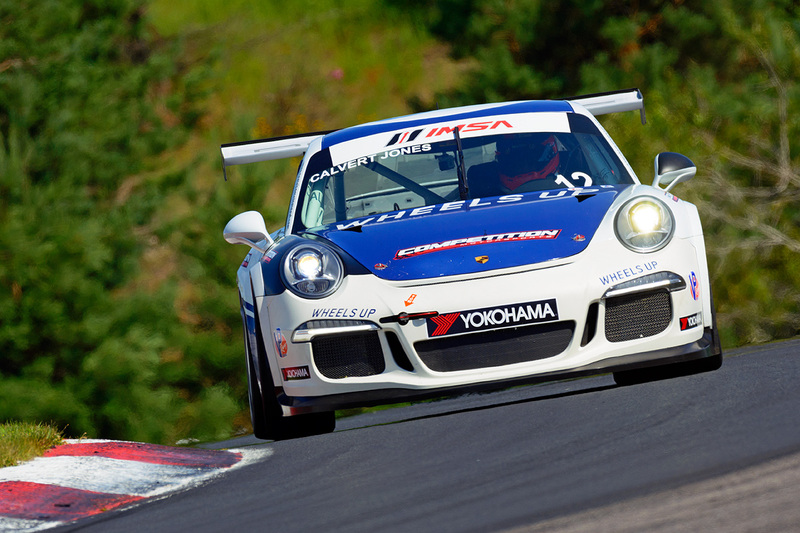 02 Affinity Motorsports/TLI/Competition Motorsports Porsche 911. 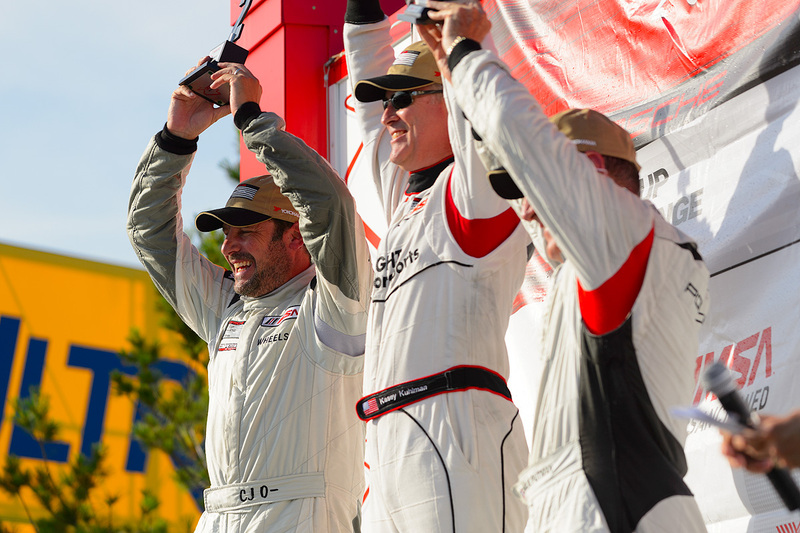 All three drivers managed to keep a good race pace on the high speed track that requires big commitment, maintaining position throughout the second 45-minute sprint race. Despite their varying positions on track, the race played out similarly for the three Competition drivers as they carefully battled through traffic to gain valuable positions. Both Lewis and Poordad improved on their grid positions to bring home hard-fought finishes, with Lewis crossing the start/finish line in fourth in Platinum Class competition and Poordad in fifth in the Gold Class. The race was slightly more eventful for Calvert-Jones, who got caught up in the incident that brought out the only full-course caution of the race, costing him multiple positions. But he managed to fight back to finish even with his starting position in Gold Class competition. The team started the weekend early on Friday with a healthy qualifying effort, putting all three cars within the top-10 of their class for the starting grid after all three Competition Motorsports drivers laid down laps seconds faster than their best times from their first practice on Thursday. Lewis led the qualifying effort and started from third place in Platinum Class competition with Calvert-Jones also within the top-10 in ninth place. 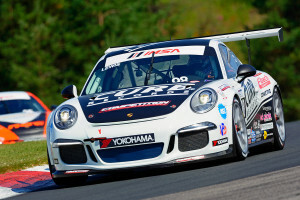 Similarly, Poordad proved himself competitive in Gold Class competition after he slotted his Porsche into fourth place. 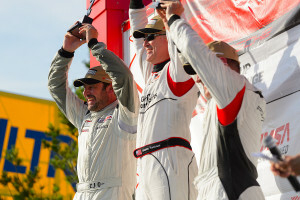 The checkered flag on their official debut in Race 1 saw a triple top-10 finish for the team as Lewis brought home a seventh-place finish in Platinum Class competition with Calvert-Jones right behind in eighth while Poordad raced home to a hard-earned seventh place result in Gold Class Competition. The team now looks forward to a brief break in racing action before they are back it again for a busy triple-race weekend at Road America on August 9-10. This entry was posted in News on July 16, 2014 by admin.